Does Anyone Want to Go to Orlando With Me This Spring? An illustration of Hogwarts Castle in the Wizarding World of Harry Potter via the NYTimes. 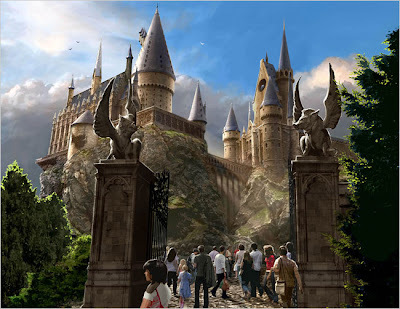 I've secretly been fantasizing about the Harry Potter theme park that is to open this Spring. Harry Potter-themed rides, restaurants and shopping; how can you go wrong? It looks like the park is broken into sections including Hogsmeade and Hogwarts. Rides like "Dragon Challenge" where one can ride a dragon as it duals another is actually two separate roller coasters intertwined. Another ride is rumored to feature the whomping willow tree and giant spiders. Shopping will include Dervish and Banges (for your magical repairs), Filch's Emporium of Confiscated Goods, Honeyduke's (a shop known for it's magical treats! ), Olivanders, where you can purchase your own wand, the Owl Post and Zonko's joke shop. And let's not forget the Three Broomsticks. Butterbeers are on me! In all seriousness, this park has the potential to be completely awesome. From the NYTimes; "'We've tried to include something from every book,' Allan Gilmore, an art director for the films who is helping to oversee the parks designs, said in an interview. 'We had free range to be as grand and excessive as we could be,' he added. 'It's only money that holds us back in the end.'" Because the park is built in Universal Studios it's obviously going to be geared toward children and families. I'm just hoping it isn't too juvenile so adults can enjoy it just as much as the kiddies. Not only is Vonnegut one of the greatest and most influential American writers of our time, he also won the 1978 writers' best friend/humanitarian award. Turns out, unlike most successful authors, Vonnegut went out of his way to help other, less successful authors. While pursuing the Huffington Post this morning I found a link to this article, which details a great example of why I wish Vonnegut were my best friend. 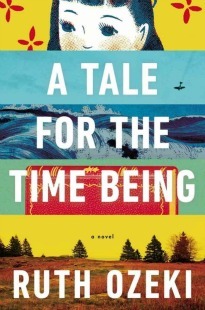 In an extraordinary, lengthy typed letter Vonnegut discussed the plight of the immigrant to the U.S. ("I would never urge anyone to come here, unless he were a world figure or multi-millionaire like Sozhenitzen") and the fiction writer in contemporary America: "the best books earn nothing, usually. There are supposedly, at any given time, no more than 300 people in this whole country who make their livings as self-employed writers. America has more admirals on active duty than that." 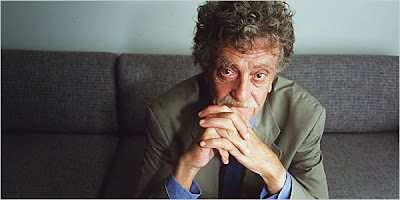 Then, miraculously, Vonnegut agreed to read the proffered short stories. Further, in an act of profound kindness, Vonnegut enclosed an unsolicited check for the poverty-stricken Bulgarian with the "hope that you and your wife will spend it on a good supper and a bottle of wine. The America you find yourselves in is the America I have tried to describe in my books. It makes no sense. Nobody knows what it is. Anything can happen. Cheers, Kurt Vonnegut." Dispite Vonnegut's efforts, Nikolov was never published in the US.